Close Encounters of the Third Kind, Steven Spielberg's stunning film about flying saucers and man's first contact with alien entities, was first shown in November 1977. Within a week it had begun to smash box-office records across America. The most influential science fiction film before Close Encounters was undoubtedly Stanley Kubrick's 2001, A Space Odyssey which was released in 1968. In his treatment of the first contact Kubrick shows that it occurs in the future, 'on' a distant planet; and involves a highly-trained astronaut. In contrast, Spielberg brought the first contact literally down to earth, in our present time, and shows that even the common man can be involved. Furthermore he used the 'real' experiences of people who have claimed sightings and contact with flying saucers as the foundation of his script. To reinforce this realism the film starts almost like a fly-on-the-wall documentary. This is most evident in the scene in the claustrophobic atmosphere of an American air traffic control centre a UFO is tracked on radar. Also, the very beginning of the film, when five World War 11 Avenger aircraft are found in the middle of a sandstorm is totally incomprehensible unless you already know about the disappearance of Flight 19, publicised in the best-selling book The Bermuda Triangle by Charles Berlitz. Spielberg knew that millions of UFO believers in America would be attracted to his film, and his bank account alone showed he was right. The manipulation of human fears and fantasies is a favourite technique of Spielberg's. In his first (made for television) feature film Duel he shows how the wit and intellect of a mild-mannered motorist can overcome the menace of a homicidal tanker driver. Although random human evil can be beaten, the power of the state and society to crush the dreams of youth come into full force in Sugarland Express; whilst Jaws expresses our tenuous mastery over nature. Like Sugarland Express, Close. Encounters portrays flight from reality taken to extreme. However there is a price to pay for transcending the boundaries of consensus reality and social conformity, in both films. In the former, happiness is gunned down by the forces of law and order, whilst in the latter the UFO seeker, Roy Neary, loses his wife and children as a consequence of his belief. Similarly the family life of the police officer in Jaws is disrupted due to his obsession about the danger of the shark when no-one else is concerned. Likewise, Spielberg's aliens have much bigger brains than ourselves. Close Encounters can be seen as a reply to Wells's 1897 novel, War of the Worlds. But this time Spielberg hopes that mentally advanced aliens will try to help mankind rather than blast him with heat rays. And he shows that mankind is (just) mature enough not to try to blast the aliens back to the stars as he attempted to do in the 1951 film The Day the Earth Stood Still. In that film the occupants of the flying saucer have to seek out the ordinary American citizen to discover the truth about humanity since the White House only generates aggression and bureaucracy. Spielberg reveals a similar distrust of the government when it is shown to be publicly ridiculing UFOs whilst carrying out a secret operation to meet the aliens. However, their plans are undermined by those who are 'mentally' informed of the location of the proposed encounter site. In the post-Watergate period such government dirty tricks were to be expected, but at least one of the UFO seekers wins a trip to the stars. The message is that the individual can still beat the Government if he is determined enough. Images in the film are also borrowed and transformed. 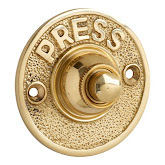 In one of the most frightening scenes when the energy of a UFO sends the domestic appliances of a house into a frenzied dance, the screws of a floor grating menacingly unwind themselves from the fitting. In the 1952 film version of The War of the Worlds the unwinding of the hatch on the first Martian space vehicle serves the same purpose by terrifying the viewer with the idea of what might leap into view. Even the vast starship occupied by Spielberg's aliens can be compared to the flying island of Laputa in Jonathan Swift's Gulliver's Travels, or the vast aerial cities envisaged by Hugo Gernsback. Although the aliens seem to have peaceful intentions, the antics of their small flying saucers and blobs of light are mischievous. They give Roy Neary a suntan; they cause power cuts; send police cars on a wild-goose chase (just as the people in Summerland Express did); and fly in formations which duplicate stellar constellation patterns. These activities remind us of the fairy literature which contains many stories of the will o'the wisp lights which in times past led travellers into the bog, or played similar pranks on unsuspecting people. Such a link is not surprising when it is considered that Jacques Vallee in his book Passport to Magonia showed the connection between fairy legends and contemporary UFO reports. No doubt Spielberg was well aware of this book's contents. Other sources of inspiration seem to be Walt Disney's Pinocchio from which the song 'When You Wish Upon a Star' was lifted for the end credits of Close Encounters . If Jimminy Cricket represents our super ego, the aliens represent a galactic super ego that will prompt us to conform to more peaceful and rewarding patterns of behaviour; whilst a Bugs Bunny cartoon featuring 'Martin the Martian' is even included in the film to highlight the old 'war of the worlds' mentality towards alien invaders. As a means of illustrating the world-wide nature of the UFO phenomenon scenes were shot in India, but the aliens select an area of America as their landing zone, and Americans appear to be in charge of selecting those who meet them. American jingoism even spreads to the stars. The ability to manipulate our minds and our history implies that the aliens have God-like power over us. This is reinforced by cathedral-like appearance of the gigantic star ship. It bathes the aliens in a halo of light as they emerge, and it blast out 'music' more powerful than any cathedral organ. Whether we believe or not that guiding angels can save us from ourselves, and despite any reservations we might have about such a message, the overall effect of the film's sound and vision is such that Spielberg has created a good substitute for the real thing . 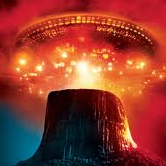 Close Encounters shows that fiction can become fact 'When You Wish Upon a Star' and have the cinematic talents of Steven Spielberg to help the wish along. 'We Are Not Alone', a 1978 Columbia/EMI publicity handout, pg. l.
WELLS, H. G., 'The Man of the Year Million', Pall Mall Gazette, November 1893. Reproduced In The H G Wells Scrapbook, edited by Peter Haining, NEL, London 1978. As illustrated In Science and Invention, February 1922. Reproduced In part on the front cover of Magonia 17. According to Bob Balaban in Close Encounters of the Third Kind Diary (Paradise Press, 1978) this was dropped after unfavourable comment. SPIELBERG, Steven. Close Encounters of the Third Kind, Sphere, London, 1978. That it acted as a surrogate experience is reflected in the fact that there was a significant decrease in UFO reports after the film's release.